The final instalment of the Children of the Chieftain series, set in the Viking town of Birka. After three years in the service of the emperor of the Greeks, Ahl and his Viking friends have become very rich. Now the crew longs to return home with their wealth, their problem is that the emperor will not permit them to leave. They make a daring plan to escape. The route home is perilous as they navigate uncharted seas. They must overcome robbers, storms and hostile strangers as they seek their way back to the Northlands with the riches which they have earned. Read it on Kindle, Nook, and Kobo. Michael E Wills was born on the Isle of Wight, UK, and educated at the Priory Boys School and Carisbrooke Grammar. He trained as a teacher at St Peter’s College, Saltley, Birmingham, before working at a secondary school in Kent for two years. After re-training to become a teacher of English as a Foreign Language he worked in Sweden for thirteen years. During this period, he wrote several English language teaching books. His teaching career has included time working in rural Sweden, a period that first sparked his now enduring interest in Scandinavian history and culture - an interest that after many years of research, both academic and in the field, led him to write Finn’s Fateand the sequel novel, Three Kings – One Throne. 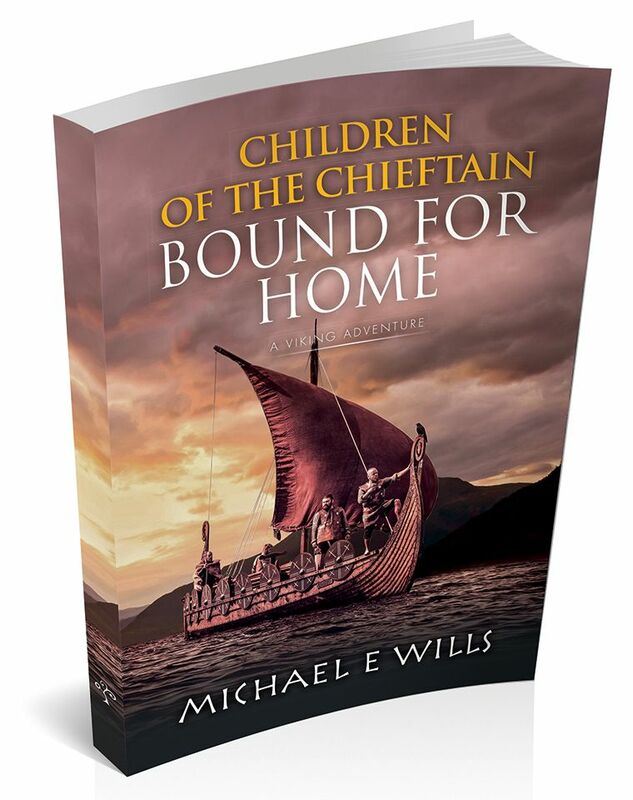 Continuing in a Viking theme, in June 2015, Michael published, Children of the Chieftain: Betrayed, the first of a quartet of Viking adventure stories for young readers. The book was described by the Historical Novel Society reviewer as "An absolutely excellent novel which I could not put down.” The novel was long-listed for the Historical Novel Society, 2016 Indie Prize.The second book in the quartet, Children of the Chieftain: Banished, was published in December 2015 followed by the third book, Children of the Chieftain: Bounty, which was published in 2017. This title is the fourth and final book in the quartet. Today, Michael works part-time as Ombudsman for English UK, the national association of English language providers. Though a lot of his spare time is spent with grandchildren, he also has a wide range of interests including researching for future books, writing, playing the guitar, carpentry and electronics. "An absolutely excellent novel which I could not put down." "I thought this book was a fabulous introduction to historical fiction for a younger audience. It is just the right length for even the most reluctant readers, but rich enough in the story for those children who like to lose themselves in a good book. I Highly Recommend. Read the Advance Information sheet here. Awarded a Coffee Pot Book Club Award 2019.